Ciel du Cheval, n. a. French, horse sky, b. 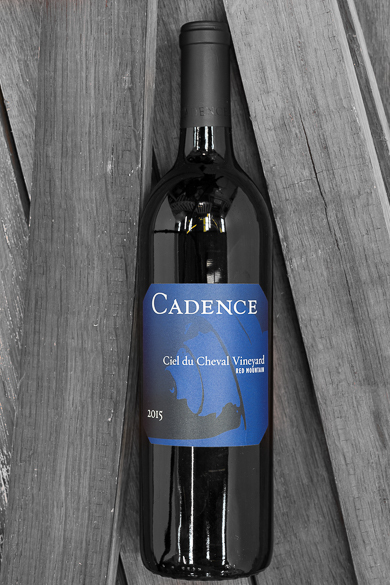 Red Mountain vineyard named for its sweeping view of the Horse Heaven Hills, c. Cadence blend of Bordeaux clonal selections grown on Ciel du Cheval Vineyard. Brilliant, open aromas of red and blue fruit wrapped in baking spice. Savory herbs, blueberries and sweet cherries play on the palate. The finish is bright, deep and long with fine tannins playing against the fresh acidity. A classic vintage of this elegant wine.